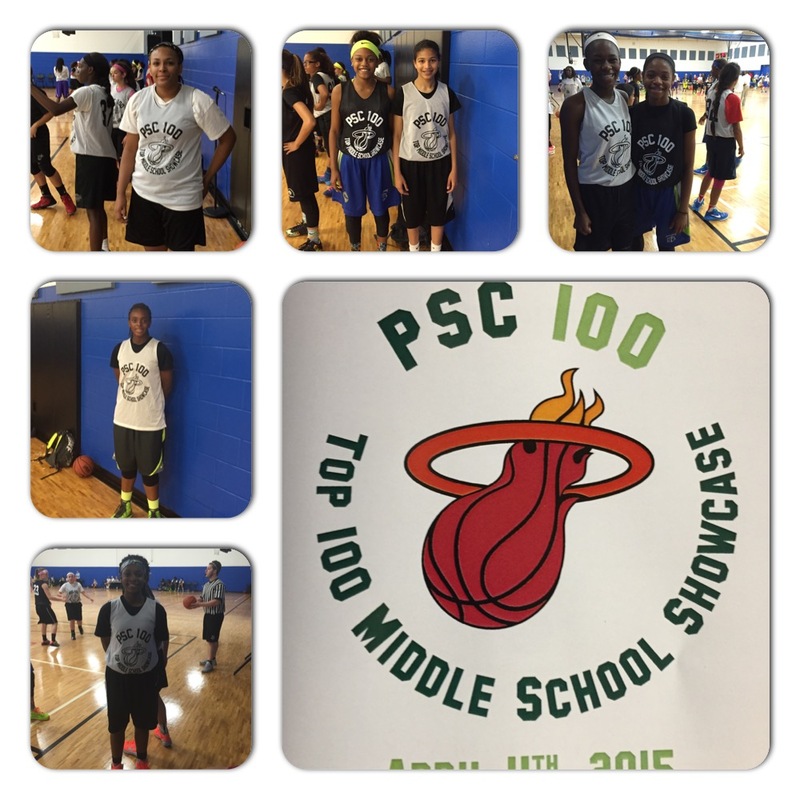 On Saturday during the Women’s Final Four weekend, the Tampa Inferno hosted the 1st Annual PSC100 showcase featuring 100 of the top Middle School Players in Florida (and a few from Georgia). The Inferno did a fantasic job with the organization and logistics of the event as well as having some big time talent. Ali Ceah Spencer – 5’10 F – Great body with a long strong frame. Spencer wasn’t great in any particular area but always seemed to be involved in the play. She did most of her work around the basket, grabbing offensive rebounds and catching it near the block or in the paint. Will need to develop more of a perimeter game but she has a real good nose for the ball. Could potentially play D-1 if her skills improve. Kiera Brown – 5’11 PG/WF – Along with Gordon, Brown has a body that is already suited for the college game. She’s got nice broad, athletic shoulders and superior athleticism to almost every player at this event. She displays above average handles and numerous times was able to make a move and blow by her man. Kiera was amazing in transition, can play multiple positions and already has nice form on her pull up jumper. Future BCS player with continued development. Mya Giusto – 5’6 PG – Great handles with nice body control, Gusto made the game look easy. She had the feel of a PG with plenty of experience. She made some amazing passes and used her handles to break down defenders, getting in the lane and scoring or distributing. Has a chance to be a D-1 player with continued development. Game enhanced with added quickness, athleticism. Taylor Sulpizi – 5’5 PG – The surprise player of the event for me. Early in the drills portion, I was trying to figure out who to watch in the game portion of the event. Sulpizi who doesn’t really pass the eye test kept surprising me. By the time the games started she was far from a surprise. Sulpizi is a smooth lead guard, with crafty handles. She’s a strong finisher despite her smaller frame with either hand including with contact. She displayed great floor vision and almost always hit the open man. Great form on her jump shot she displayed range to the 3point line. Nice pull jumper as well and a mean crossover. Has the potential to be a BCS player, but needs to grow, add strength, and keep developing. Yasmeen Chang – 5’8 G/W – Fast and very productive in transition Chang continually impressed with her ability to pull defensive rebounds and go coast to coast. In the half court she displayed an ability to get to the rim and finish. Her experience level and her game were very mature for her age. It’s obvious she’s been playing competitive ball for awhile. Potentially a BCS player with continued development. Rahshara Simmons – 5’5 SG – Simmons is a strong quick guard, who consistently finishes, displays super athleticism. She would be considered a slasher/scorer with above average handles. Potentially a D-1 player with continued development. Tatum Hayes – 5’6 CG – Hayes has a strong frame, with a good athletic body. She’s a willing passer and distributor who also has a nice jump shot. Potential D-1 player with continued development. Jasmine Quarterman – 6’1 WF/F – Already great size at her position Quarterman has a chance to be one of the top 2019s in Florida for years to come. She’s got decent handles, enough to get by some defenders, and she uses a soft floater to finish on baseline drives. She’s super athletic and can score in a variety of ways. As she becomes more of a perimeter player her stock is going to continue to grow. A BCS player with development of guard skills. Raquel Cassidy – 6′ F/Post – One of the strongest players at the camp physically speaking, Raquel dominated in the paint. She’s able to use her size and strength to grab both offensive and defensive rebounds. Works hard to seal her man for position and finishes consistently around the basket. Displayed a nice face up jump shot with developing handles. Over time she will need to develop into a wing player to reach her full potential. Definitely a future D-1 player with continued guard development. Elizabeth Sierzant – 5’9 SG – Displayed one of the higher basketball IQ’s at the event, never trying to do more than she was capable of. She’s got a nice jumpshot with range to 3point land and she also uses a nice ball fake into a 1 dribble pull up jumper. She’s going to need to develop faster foot speed but her basketball skills are above average. Has the potential to play D-1 with added quickness and foot speed. Miniya Adu – 5’9 F – Adu is eventually going to need to be a guard if she has aspirations of playing at the college level. For now she’s an effective power player, using her strength to bang inside. She was around the ball a lot, grabbing defensive and offensive rebounds to help her team. Has the long term potential to develop into a D-1 player. Jaden Langer – 5’8 SG – SHOOTER!! Jaden is already knocking down 25 foot jumpers. She’s a great spot up shooter with the ability to put the ball on the ground a little bit. Has the ability with her size to be a D-1 player. Her game needs to develop in other areas but the shooting is there! Morgam Beacham – 5’7 PG – Easily one of the top players in the event. Beacham is as close to a surefire BCS guard as they come in Middle School. She’s an athletic leaper, who talks on D, understands high level concepts like help and recover. Amazing handles and finished everything I saw her take. Nice form and consistency on her jump shot. Fujika Nimmo – 5’9 SG/WF – Long athletic guard, who like Beacham understands some higher level concepts. Shoots it well and was another surprise at the event. Plays somewhat upright and needs to get more flexible. Has the potential to play D-1 basketball with continued development. Dyman Howard – 5’3 PG – Speedy and fast Dyman is great in the open court with the ball in her hands, she makes things happen. Has a chance to play D-1 basketball but will need to develop a perimeter shot and continue to develop her skills. Hopefully she will grow a few inches too. Constance Thomas – 5’7 PG – One of the more established names at the event, Constance didn’t disappoint. She’s a strong guard, with good size who makes nice passes, understands the concept of drawing defense to kick to the open shooter. She’s very smooth with the ball. Great finisher, uses a eurostep to finish in transition, and has great athleticism. Has the chance to be a BCS player with continued development. Kaylon Smith – 6′ F/WF – Kaylon plays with a high motor and has impressive strength for a player of her age. She’s thick and tough. Finishes around the rim with consistency. Physically imposing player whose game is enhanced with better conditioning. Potential D-1 player with continued development. Emoni Thomas – 5’9 WF – Muscular athletic build, who can finish with both hands in transition. She’s got a great body for basketball, but needs to develop more polished guard skills. The sky is the limit though, as she has the athleticism, now needs to develop the skills. Could potentially play D-1 with skill development. Courtney Moore – 5’4 PG/CG – Wiry lead guard who is willing to play off the ball, Moore pushes hard in transition and is great with or without the ball on the break. She understands the concept of staying wide when she’s on the wing and pushing it through the middle when she’s at the 1. She has awesome handles for a 7th grader and nice form and range on her jumpshot. Going to be a D-1 player with continued development. Kyndall Thomas – 5’8 PG – Handles and passes like a pro already, Thomas is doing things that many HS aged players struggle to master. Her poise and experience is well beyond her age. She’s got superb athleticism and her body control is second to none. She finishes with contact and can shoot the ball to 3 point range. At one point I was asked who I liked the best at the event and I went with Thomas. She’s a future BCS player, of course continued development is important, but she’s a sure thing. 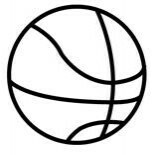 Nabaweeyah McGill – 6’2 Post – Big bodied post player who likes to bang inside. She’s got great hands and understands sealing her man for position. She’s a good finisher and she has the ability to knock down the elbow jumper. Has a chance to be a BCS player with continued development. O’Mariah Gordon – 5’3 PG – Unbelievable speed and quickness for such a young player. She was able to get numerous steals and rebounds with her athleticism. She’s got great hands and strength especially for a player her age. She hit a few open 3’s but her best ability is her handles and ability to get to the rim. Potentially a BCS player with continued development and growth in height. Jordan Rosier – 5’9 PG/CG – Surprisingly polished player for someone her age, Rosier has a great feel for the game and awesome size for her position at her age. She got good skills displaying a nice handle and great form on her jumper. Going to be a D-1 player with continued development. Omega Payton – 5’6 WF – Payton for such a young player did some things to stand out at this event. She’s got a strong physical frame, surprising for someone her age. She handles it well and uses her speed to enhance her on court success. This entry was posted on April 7, 2015 by johnmcgraw49.